Old think verses new think, and it's hard to ignore what that our attitudes on cooking have changed. Every wonder where to start with your ideas for your upcoming project? You see ideas everywhere, but how do you communicate them clearly to your design team? Here are some tips and tricks to help get you started on your project journey. 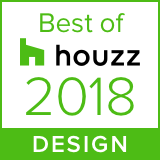 The ‘Best of’ winners are professionals recognized by our community of homeowners and home design enthusiasts for creating the most inspiring and innovative residential designs in the past year.